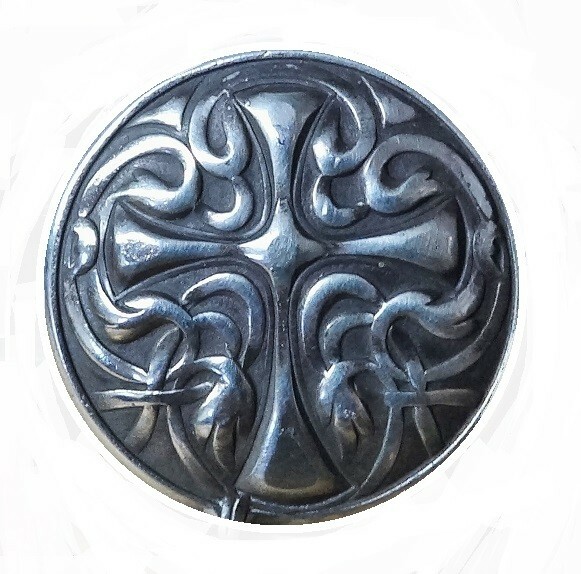 20 gauge fine silver stamped from antique die. Measures 1 7/16" in diameter These pieces are finished in the photo but will not be shipped out oxidized or finished! These pieces are finished in the photo but will not be shipped out oxidized or finished! 20 gauge fine silver stamped from antique die. Measures 7/16" wide x 7/16" tall 5 pieces These pieces are finished in the photo but will not be shipped out oxidized or finished!